One of the most frustrating franchises to both be a fan of and to bet on, the Detroit Lions come into 2018 with new leadership. The roster has remained very stable over the offseason, but management is hoping that former Patriots defensive coordinator Matt Patricia will be the spark that the Lions need to finally get over the hump. Despite finishing 9-7 in 2017, the Lions watched the playoffs from home and canned their head coach of four years, Jim Caldwell. The Detroit Lions betting odds are quite favorable this year since they play in one of the most competitive divisions in the NFL. They certainly have talent. Can Matty Patty lead them to the promised land? The lack of a running game has plagued the Lions for several years. The team has been dead last in the NFL in rushing yards two of the previous three seasons. This forces quarterback Matthew Stafford into a heavy workload as well as making the offense quite predictable. Offensive coordinator Jim Bob Cooter loves to use the efficient, west coast style offense as a means of offsetting the lack of a running game. Consisting of short passes, this system allows great run-after-catch players like Golden Tate and Theo Riddick to get the ball out in space with room to work. The Lions had high hopes for young running back Ameer Abdullah, but injuries and fumbles have stunted his maturation and kept him from becoming a reliable every down back. In their only major acquisition of free agency, the Lions attempted to remedy their weak running game by signing the powerful back LeGarrette Blount. Blount will give the Lions a short yardage specialist who can keep the defense honest and open the secondary for Matthew Stafford. Consensus around the league is that Lions quarterback Matthew Stafford has one of the best - if not the best - arms in the NFL. Every year he puts up monster passing numbers and would be in the MVP discussion if his Lions had a little bit more success. The knock-on Stafford is that he cannot win the big games. He has lost three playoff games as well as several must-win regular season games. Behind the genius of Jim Bob Cooter, Stafford can light up the scoreboard. He just needs to find some consistency. Perhaps adding the veteran presence of Blount will help take some of the pressure away from the 30-year old gunslinger. The Lions are projected to be mediocre this year, listed at 50-1 odds to win Super Bowl 53. Here at SkyBook, we pride ourselves on being the best NFL sportsbook for all your football betting needs. 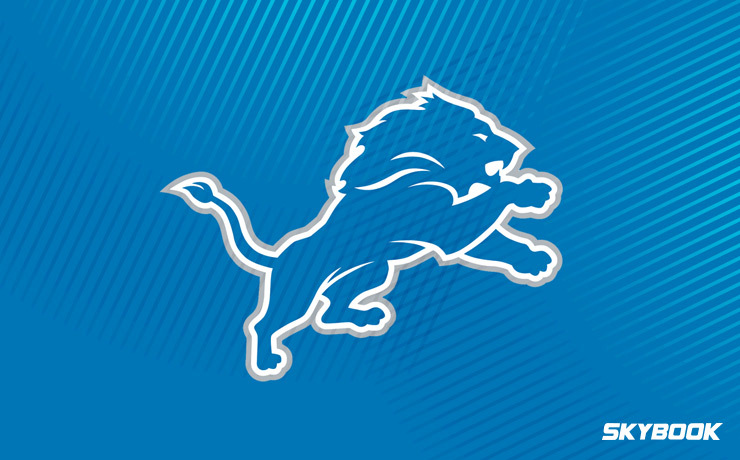 Throughout the season, we will deliver you Detroit Lions game analysis, matchups, and injury reports. The Lions have one of the most talented rosters in the NFL. Often a coaching change can inspire greatness. Will that be the case this year? We offer the best Detroit Lions betting odds along with great bonuses that you will not find at any other sportsbook.